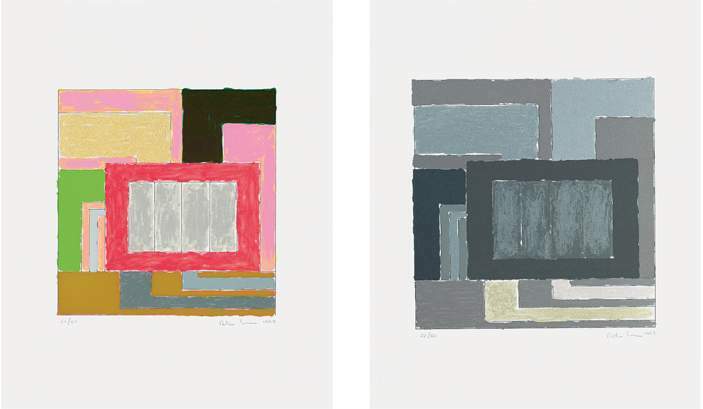 Two silkscreens, printed in 23 or 14 colors (day-glo, metallic and pearlescent), with embossing, on Arches rag paper. Each print 50 x 40 cm (19.75 x 15.75 in. ), each signed and numbered. Edition of 60.